Two years ago on my 21st birthday I went to Ulta and brought my first brushes. I was so excited! Even though I wasn't a makeup artist I felt very professional. I am sure all of you know about the eye shadow applicators that come with makeup. There is nothing wrong with anyone using them, but for me every time I used one it would either break or irritate my eye. I wrote about these brushes briefly in my birthday haul. But I decided to talk about these a little bit more. Included in this 5 piece Bamboo brush set is: Lash and Brow groomer, Eyeliner brush, Eye shading brush, Concealer brush, Blush brush, and a bag for the brushes to go in. Because the concealer brush is very similar to the eye shading brush, I would use it as another eye shadow brush. Sometimes I would even use it as a blending brush. The best part about this set is the fact that the bristles of the brushes is cruelty free. These are also eco- friendly! I think this set is great for beginners. This includes the basic materials needed and it is not overwhelming. I know for me I would have been overwhelmed. 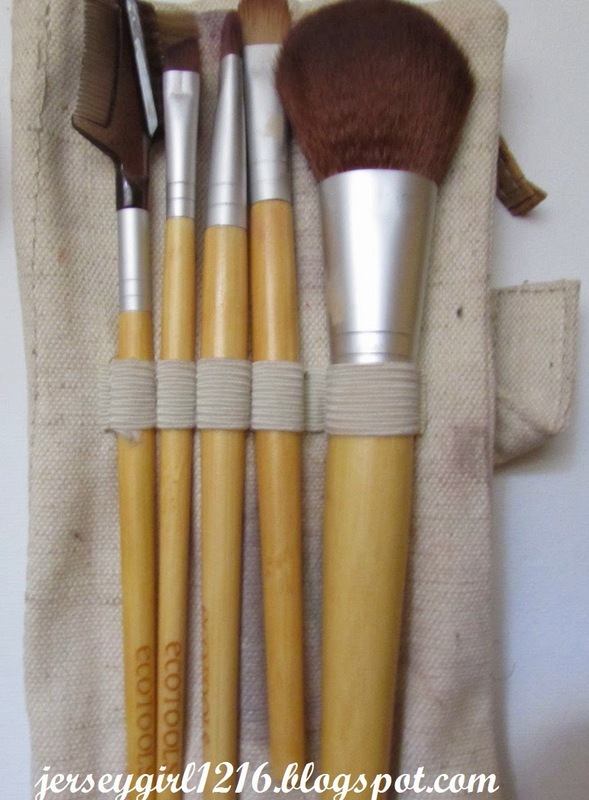 I would not have known what to do with special brushes like: foundation, tapered brush, and contour brushes. I hope you enjoyed reading! Do you remember your first brushes? Yeah. I still use these brushes sometimes!